so effortlessly and last indefinitely? It is a combination of the door's quality construction and its various unique hardware components. 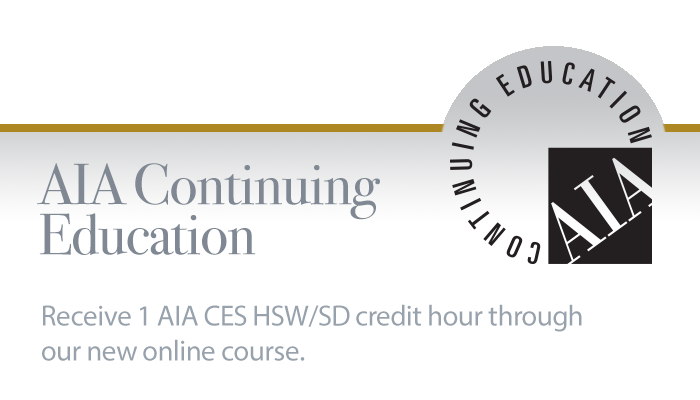 The entire balanced door system – including the frame, door, and all balanced hardware components – are made on-site at Ellison to ensure exacting quality standards. 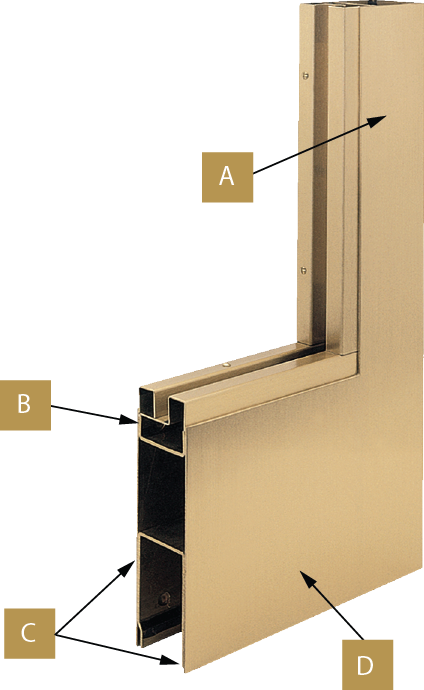 Explore the anatomy of an Ellison balanced door below, but keep in mind, the design shown is just one example of an Ellison balanced door. 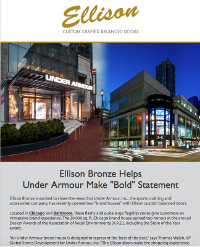 Ellison doors can be manufactured in virtually infinite combinations of materials, sizes, and designs. What makes an Ellison balanced door virtually indestructible? Ellison balanced doors are built to provide a lifetime of the easiest, most trouble-free operation. 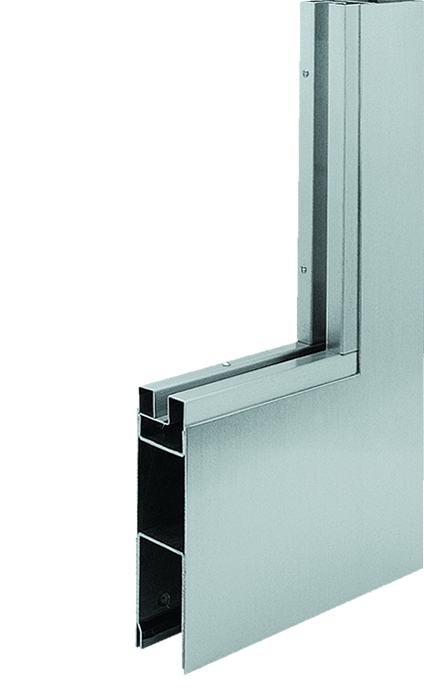 Ellison's uniquely-designed formed-up doors feature a solid internal subframe construction, allowing them to long outlast the average 5-10 year lifespan of standard high-traffic doors. Most door subframes, if present at all, are merely tack-welded, whereas an Ellison subframe is joined to the outer structure by closely spaced spot-welds. Both external and internal door parts are made of .09” thick material, resulting in greater resistance of dings and dents than thinner doors. Furthermore, unlike most door manufacturers, Ellison pre-assembles and pre-hangs each door before it leaves the factory in order to inspect and fine-tune to perfection.